Miami private investigators must be well seasoned for a variety of case profiles, since this city encompasses one of the busiest legal markets in America. Miami is not only the main investigative gateway in South Florida, but also serves as a staging ground for investigations which occur in the Caribbean and parts of Latin America. Miami is an international city and the investigators who work here are often multilingual and extremely knowledgeable about many different cultures, in order to effectively solve their queries. This examination of the Miami, Florida private detective industry helps clients who need to hire an investigator and also provides guidance for aspiring private eyes, who want to break into this profitable business. 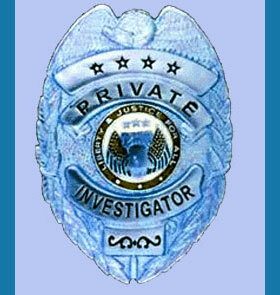 Most quality private detectives in Miami have backgrounds in law enforcement or military police experience. Being that Miami is a hotbed of drug activity and smuggling, criminal investigations are commonplace and detectives with real police training will prosper. Miami is also known for international investigations, since many cases spill over into neighboring Caribbean or Latin American countries. Finally, as a tourist mecca, Miami also is known for investigations which deal in fraud and tourist scams. Private detectives certainly do their part to make the city a safe destination for visitors from around the world and the local community supports investigative professionals in their efforts. Miami private eyes must speak English and Spanish fluently and many also speak Portuguese or French. Having a mixed Hispanic-American ancestry is a great benefit in Miami and many investigators take advantage of this blessing to work in both the American and Hispanic sectors. Miami is a main transportation hub and features a huge number of private and commercial ships that sail daily. This makes it common for many areas investigators to specialize in maritime cases and have extensive naval experience under their belts. Hiring a private investigator in Miami should be easy, as there are so many well qualified professionals working in the detective arts here. If you can not find an investigator who suits you needs or preferences, feel free to contact a local or national private investigator association for a referral. Just be sure that whomever you hire is up to the task put before them. Remember that all investigators possess different skills and you need to match your case assignment to a professional who specializes in the exact type of work that you need accomplished, in order to achieve the very best results in the shortest time frame.